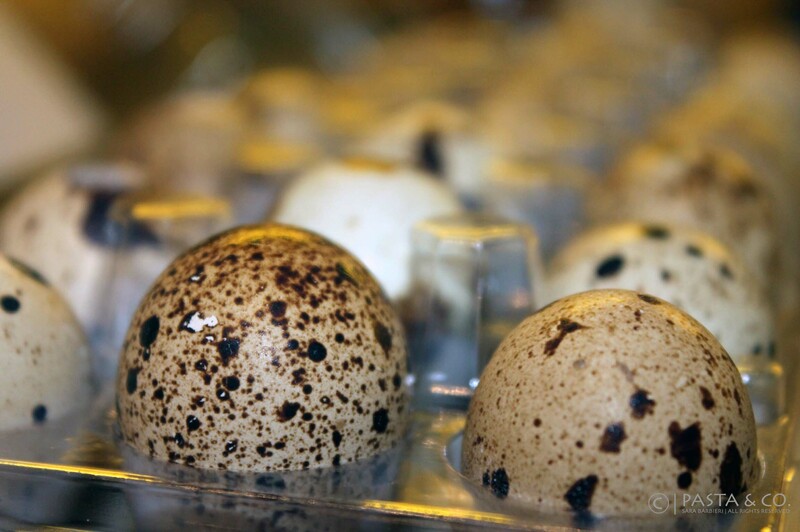 Uova Tonnate (Quail Eggs with Tuna Cream) | Pasta & Co.
Quail eggs are something new for me. I always looked at them and I wasn’t really sure what recipe would have worked. Last week it was very late when I got to the Farmers Market – after 11 everything is pretty much gone. Tejas Heritage Farm did not have any chicken eggs left and I thought that well that could have been the chance to try something new. So I bought 24 little eggs for $5. Soft boiled, hard boiled… with 24 you’ve got a lot to experiment. I studied a little bit and learned that these little pigmented friends are packed with vitamins and minerals. Even being so small, their nutritional value is 3 to 4 times greater than chicken eggs! They are a natural combatant against digestive tract disorders such as stomach ulcers. Quail eggs strengthen the immune system, promote memory health, increase brain activity and stabilize the nervous system. They help with anemia by increasing the level of hemoglobin in the body while removing toxins and heavy metals. What?! YES. Quail eggs are actually better than chicken eggs. I looked around the Internet and got inspired. When I was a kid and my family and I would spent Christmas Eve all together (We were like 15 at the time, now my cousins are married and have kids, so we reached what like 40 with only my mother’s sisters!). 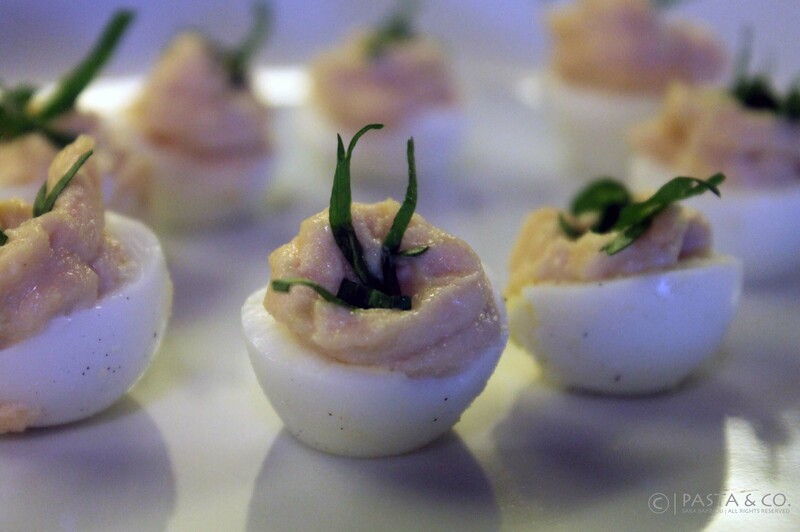 One of everyone’s favorite antipasto was eggs stuffed with tuna cream, the same cream used for vitello tonnato. Basically canned Tuna from OlioCarli, mayo, capers, anchovies, and yolks. 1) Put the eggs into a small saucepan or a butter warmer with cold water and bring it to boil. When it boils, let it boil for 3 minutes. 2) Meanwhile, wash the anchovy fillet so that it releases the salt. 3) Drain the eggs and carefully peel them. They are very delicate, so be careful not to break them. 4) Cut the eggs in half and remove the yolks. Gently cut a small of part of the round bottom of every half so that they can stand nicely without leaning. Put the yolks in a mixer, add tuna, capers, the anchovy fillet and 1 tbsp of mayo. Blend until you get a smooth cream. 5) Gather the cream into a piping bag with a star or a fluted nozzle. Start piping from the middle out in widening spirals.